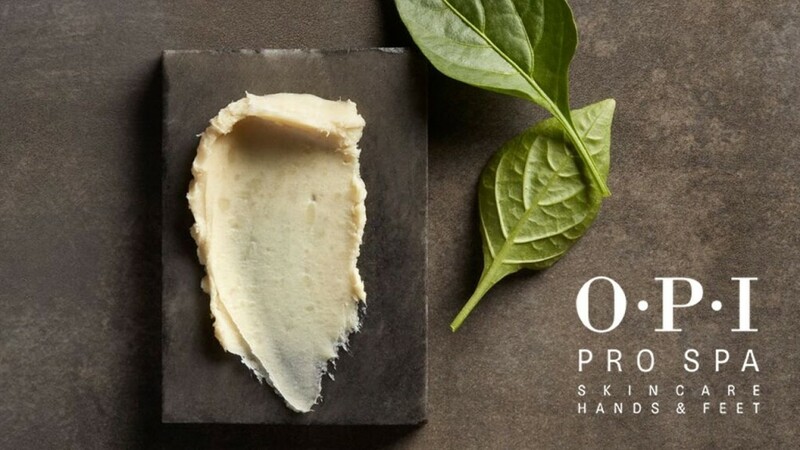 Recently, OPI has launched it’s new ProSpa line. A lovely, skin care inspired line to treat your hands and feet to facial quality manicures and pedicures. One of the products caught my eye. Well a couple actually, but today, I wanted to tell you about the new thing I learned about ProSina. One of the ingredients in the ProSpa Protective Hand, Nail & Cuticle Cream. Hydrolyzed keratin. Is made using a mild proprietary process which leaves the natural cystine content of the keratin in an active, S-sulpho, form. It is the high proportion of these groups that enables it to cross link with the keratin in nails resulting in an increase in the integrity and cohesion of the nail plate. Capable of moisturizing the skin and strengthening the nails. Used in hand as well as nail creams, barrier preparations, foot treatments, creams, lotions-skin care, feet, hands, nails and nail color. I guess you learn something new every day right! Happy long weekend to you all. Be safe! Say you would debating that OPI purchase at your local Salon Centric store. Not quite sure if your pocket book will take it? Well, I know that every little bit counts so I am happy to share that today at your local Salon Centric, you can get 20% off OPI products. 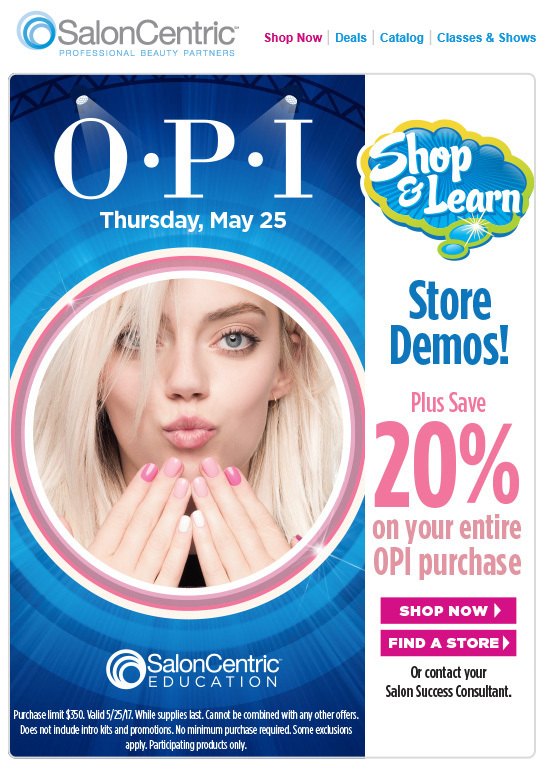 As well as the opportunity to talk with a OPI educator about all their products! Including the new ProSpa!!!! Contact you store for more details!